Melbourne University has set itself an ambitious task to raise $500 million by 2017 - the largest fundraising initiative in the institution's history - appealing for philanthropic help to deliver its education mission. Melbourne University has set itself an ambitious task to raise $500 million by 2017 – the largest fundraising initiative in the institution's history – appealing for philanthropic help to deliver its education mission. The campaign, called Believe, was officially launched this week but the University says it has already raised $249 million through its ‘quiet phase’ since 2008. More than 300 students, staff, supporters and philanthropists gathered in Wilson Hall at Melbourne University to hear the fundraising plans. 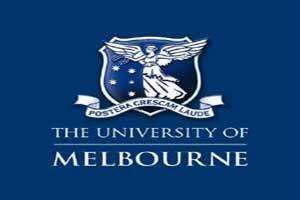 University of Melbourne Vice Chancellor, Glyn Davis said Melbourne is a public university and will remain so. “However, philanthropy adds to the reach and capacity of the institution as we pursue our long-established mission of educating tomorrow's leaders, finding answers to the world's grand challenges through research, and enriching the wider community,” Davis said. “Philanthropists are attracted to the University because they believe in its aspirations. Over 13,000 donors have contributed to our fundraising effort to date. “Many are students, some giving $10 or $20 from their limited funds to help others. Others with more means, but similar inspiration, have supported the University through larger donations to support scholarships, research in Indigenous eye health, the renewal of the VCA campus, improvements to the University Library, a new Chair in Human Rights Law and Criminology, and an amazing $5 million gift from Pamela Galli for a Chair in Skin Cancers and Melanoma. “Philanthropy for the University, it hardly needs saying, is not about enriching staff. “Our goals for philanthropy are entirely about supporting students, public mission and the wider community. Many donations will arrive slowly over many years, but they add in time to the investment in future generations of students, researchers and engagement. To make the campaign a success, the University says it has recruited a team of professional advancement staff, led by Vice-Principal (Advancement) Sue Cunningham, and supported by academic and professional colleagues in every faculty. “To link the campaign to our broader community, the University has been very fortunate to attract a campaign board led by Allan Myers AO QC, supported by a distinguished list of patrons with close connections to the University, its colleges, museums, galleries and many cultural institutions,” Davis said. The timing of the campaign coincides with the Gillard Government’s plan to scrap $2 billion of university funding to help pay for the Gonski school reforms. The Government announced that from January 2014 universities will be hit by a 2 per cent efficiency dividend, saving it $900 million.